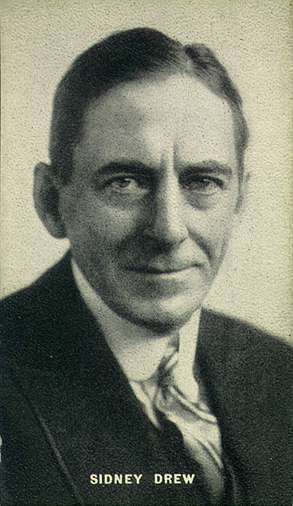 Sidney Drew or Mr. Sidney Drew as he was usually billed, was an uncle of actors Lionel, Ethel and John Barrymore. Drew's origins have been the subject of speculation. His mother Mrs. Louisa Drew said she adopted him not long after the death of her husband John Drew, Sr. in 1862. 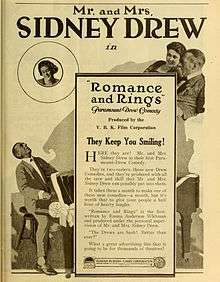 Researchers have speculated that Sidney was Mrs. Drew's biological child either from her late husband or from a love affair. It was noticed that she disappeared for some time to the country before returning to Philadelphia with baby Sidney. 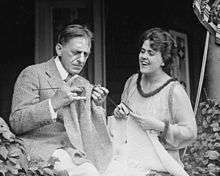 John Barrymore always said Sidney looked too much like Grandmother Louisa to be anyone else's child. 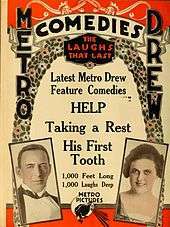 In 1916, the popular team was lured to Richard A. Rowland's and Louis B. Mayer's newly founded Metro company, where they continued to dominate in the field of marital comedy. During World War I, Sidney Drew's son, actor-director S. Rankin Drew, was killed in action. Drew never recovered from the loss. The team left Metro for personal appearances but was signed to V.B.K.. Sidney Drew died suddenly on April 9, 1919. 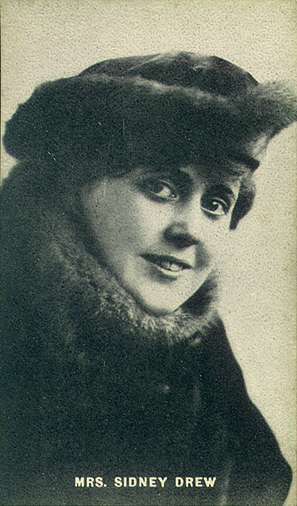 Lucile McVey Drew died in 1925 from cancer, at the age of 35. ↑ Beasley, David (2002). McKeee Rankin and the Heyday of the American Theater pp. 101-102. ↑ Slide, Anthony (2006). New York City Vaudeville. Charleston, SC: Arcadia. p. 80. ISBN 0738545627. ↑ Star on Hollywood Walk of Fame presumably refers to the second Mrs. Drew, Lucile Drew. Wikimedia Commons has media related to Mr. & Mrs. Sidney Drew.